If you or a friend or family have been considering going vegetarian, you may be wondering if you'll be able to maintain a healthy, balanced diet. The most simple answer to this question is 'yes, of course!'. Amongst other myths and legends, a somewhat misinformed assumption exists that a vegetarian diet may be lacking in protein. This is simply not true – in fact, a well-balanced vegetarian diet contains a good source of protein, from many different sources of food. The linked building blocks of proteins are called amino acids. The human body can manufacture some of these itself, but also needs to find a variety of amino acids via ingested food. There are around eight amino acids that need to be consumed in this way, which are classed as 'essential amino acids'. Protein is an important dietary requirement because is helps the body to grow and repair efficiently. Protein also plays an important part in the many biological processes that keep our bodies running, from metabolism, hormone production and nerve transmission, to healthy skin and bone growth. In an omnivore's diet, these essential proteins can be found in animal and plant food. There can be more risk of consuming too much protein in this way, especially with high levels of meat in the diet. Excess protein may prove somewhat 'toxic' to the body, and can also be stored as fat. A vegetarian diet is thought to contain an adequate amount of protein, with less risk of consuming excessive protein. In a vegetarian's diet, however, eating just plant foods will not suffice in getting the right variety of essential amino acids. Our bodies require different amino acids at different proportions to make proteins. Dietary proteins containing the right level and number of amino acids are known as 'high quality proteins', whereas protein with low levels of one or more essential amino acids are known as 'low quality proteins'. Where there is a lowest level of amino acid, this is referred to as the 'limiting amino acid'. Different food sources contain different types and proportions of amino acids – eat only one type of food and you'll be lacking in essential amino acids found in other food sources. Our bodies require different amino acids at different proportions to make proteins. This is why, as with any diet, eating a varied vegetarian diet is so important – a varied diet means that all the required amino acids are consumed, and the right level and different types amino acids are absorbed by the body. Most of the food that we eat contains a source of protein. For vegetarians, good high-quality sources of protein come from a variety of sources, not just plant food. Plant food tends to lack at least one type of essential amino acid, and is therefore regarded as sources of low quality proteins. This is why a vegetarian diet needs a combination of food types, to ensure that all the different proteins are present in the diet. For instance, on their own, grains and pulses lack certain types of amino acids. But combine range of pulses and different types of grain into a vegetarian diet, and you have a level of high quality protein. This is also a great way to compensate for limiting amino acids – combining protein sources in this way is known as 'protein complementing'. 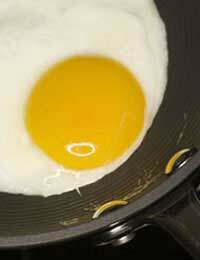 Eggs are generally thought to be the best source of protein, as they have a fantastic level of essential amino acids in them, in the right proportions. So it's not surprising to learn that other animal proteins, such as cheese and milk, are great sources of protein for vegetarians too. These, eaten in combination with other sources of protein, such as nuts, seeds, grains, vegetables and pulses, lead to a healthy, well-balanced meals that require little or no planning. For instance, beans on toast, milk with wholegrain cereal and cheese on wholegrain toast are all 'easy' sources of protein within a vegetarian diet. It really is that simple to include high quality sources of protein in your vegetarian diet!